We are delighted to learn that our article is an Editor’s Pick of the current issue of ANS and provided for free to readers. The preparation of this article is the product of 3 years of collaboration during the time when Barbara Riegel was a Guest Professor at Linköping University in Sweden with Professors Tiny Jaarsma and Anna Strömberg. We brought to this collaboration years of individual research in the area of self-care and a growing recognition that comorbid illness complicates self-care for patients. We realized that if patients and clinicians could be helped to see similarities in the self-care performed for various diagnoses, they might manage their self-care responsibilities with more ease. Writing this article helped us integrate our prior research in self-care, our efforts to devise methods of measurement for self-care, and our devotion to teaching the next generation of scientists. Currently, Anna Strömberg is leading a team primarily made up of faculty from Linköping University writing an article in which the theory is applied to a variety of chronic illnesses. 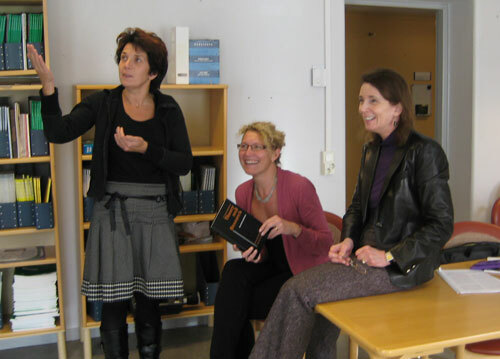 As a team, we are teaching a graduate course on self-care of chronic illness at Linköping University. We have plans to develop a family of instruments that can be used to measure patients’ self-reports of self-care. These efforts should keep us busy for the years ahead. ← “Editor’s Picks” available now! 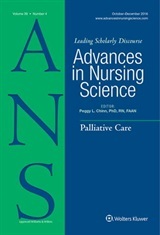 Absolutely a stellar contribution to nursing science and theory. applicable, not just to chronic illness, but transmutable to everyday practice. Comprehensible, practical, useful. Congratulations! A great contribution to Nursing. Kudos!